Here today i will cover the juice prepared by tomato, carrot,beetroot with sugarcandy,and lime. Its been telecasted by Pandit Yelchuri in the Ztelugu TV channel. 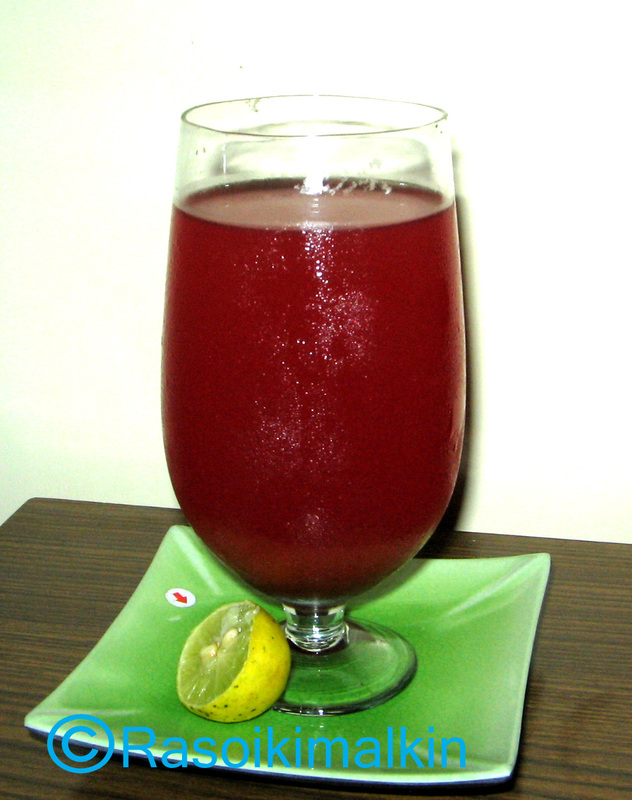 This juice purifies the blood,increases the blood count,and reduces the anaemia. It also improves the texture of the skin, and prevents hair loss. Wash the vegetables thoroughly,peel off the skin,then chop into small pieces. Then blend the chopped pieces in a juicer ,adding water in small quantities,and blending well. Then strain the juice and extract the pulp. Again add 1/4 th cup of water into the pulp and grind well.Again strain the juice. Like wise we can extract juice from the pulp by adding a little water 2 to 3 times. Place the juice and powdered sugar candy on the stove on low flame. Let it boil until the quantity of the juice reduces to 60% to 70% of the whole. Then switch off the stove and let it cool. If boiled in low flame it takes a long time ,say more than 1 hour. Where as if kept in high flame,it has to be stirred quite often. When cool,add honey in to it and store it in a dry glass bottle. Never mix it when hot. If preserved in a fridge it remains fresh for a month. When preparing juice ,add 2 tablespoons of juice with chilled water,and add juice of one lime,stir well. Serve chill with a lemon rind. Its a natural drink healthy and delicious. The leftover pulp can be used as face pack by mixing milk cream,in to 2 spoons of pulp, and applying to the face for 30 minutes.The left over balance of the pulp can be stored in a fridge for a week,and to apply daily as a face pack.